Robots that walk, robots that climb, and super-hot librarian robots. We’ve got them all in this week’s roundup. Singapore’s Nanyang Technological University has been working on its nation’s most complex full-scale android yet–Loch, the Low Cost Humanoid–for a few years, but he’s been largely overlooked. This is a shame, because though he’s from a nation you wouldn’t normally associate with advanced robotics, he can walk, manage stairs, and resist being pushed off course. These are all sophisticated behaviors for an android, and he even comes with a full suite of force sensors and a laser range finder. Since the professor in charge has created a spin-off company to market the advanced tech in Loch, we may expect to see bits of him turning up in the robot world. India’s Birla Institute of Technology and Science is the home of AcYut, which is allegedly India’s first humanoid robot produced locally. His name means “one who doesn’t fall down” in Sanskrit and he’s been in development since 2008. Earlier incarnations have done well at the RoboGames and the Robo-Olympics, but AcYut is now in its fourth iteration and is its biggest yet–standing a childlike 3 foot 3 inches tall–and the first with a camera aboard. He’s no Asimo, for sure, but impressive nonetheless. Wall climbing is a much-desired property for certain types of robot, because it’s useful for all sorts of military or spying jobs, and when you need to quickly access the outside of a skycraper a bot that can climb up its walls is probably a handy trick. Enter the work of the University of Canterbury in New Zealand that’s developed a new type of “sucker” that lets these kinds of service droid scale walls in ways that would totally impress Spider-Man. The novel suckers make use of a physics principle called the Bernoulli effect, whereby a fast-moving airflow is at a much lower pressure than a slow-moving one. The suckers work by actually blowing supersonic air across the wall in question to generate a resultant external pressure that sticks them to the vertical faces. The trick is easy, reliable, and can even allow for a robot to deal with small gaps in the structure it’s climbing. And unlike other attempts at similar tech, this invention is five times stronger. Scientists at Zhejiang University in China have developed a similar Bernoulli-effect system, this one using pressurized water to drive the more conventional sucker feet on a gecko-inspired climbing robot. Because of its design, it’s slightly more suited to climbing up glass, but that’s good enough for implementations like a spy bot, firefighter, or a window-washer bot. Plus this machine is entirely powered by water, with clever hydraulics diverting the high-pressure flow into hydraulic rams that help it “walk”. The University of Chicago just opened the Joe and Rika Mansueto Library. It’s a geodesic-structure, heavy on the glass, sunlight, wood and minimalist design–but curiously light on books on display. That’s because they’re generally not on display at all. 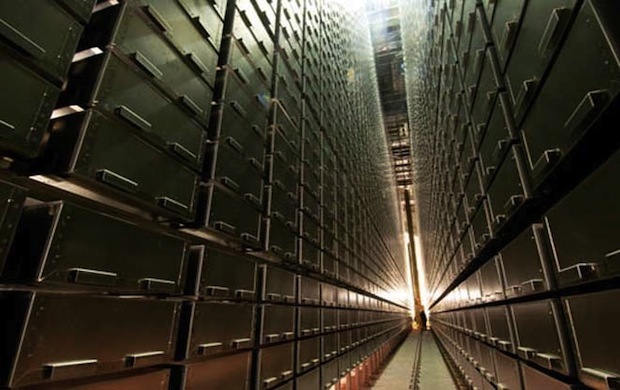 Books are stored in a warehouse under more ideal temperature and humidity conditions than humans generally prefer, and a huge picker-plucker robot system goes and gets them on demand, finding them among the 3.5 million tomes, then delivers them to a librarian who then hands them off to the reader. It’s more efficient in many ways than a traditional library, maximizing use of space and preserving the books in an automated storage system that can better keep track of them than is possible in a conventional library.